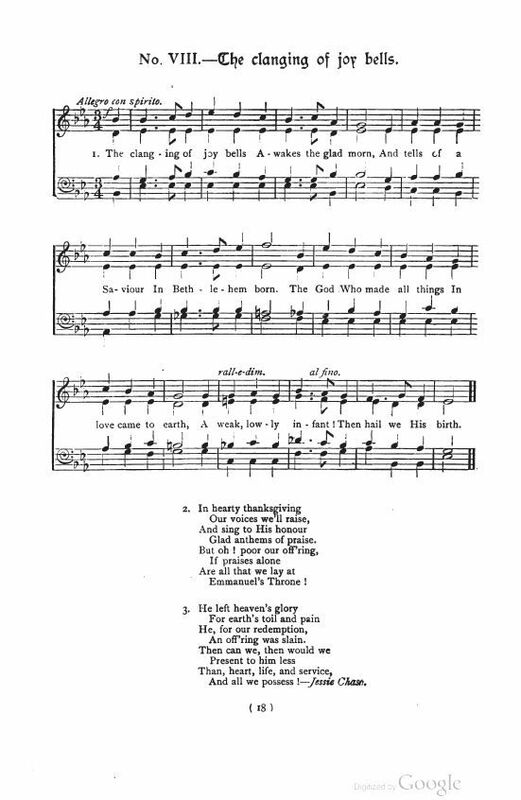 Source: Edgar Pettman, ed., Modern Christmas Carols (London: Weekes & Co., 1892), #8. Then hail we His birth. Pettman notes: "No. VIII.—It is most important to observe the marks of expression (particularly in the inner parts) in the chorus of this carol." Miss Chase was the author of at least two Easter hymns: “Eastertide in Wood and Dell,” and “Resurrection Gladness,” according to an article in The American Bookseller, Vol. 25, 1889.